906 N. Sycamore St. N. Manchester, Ind. This is the first time anyone has asked me to do this, so I had to do some digging which was fun. Yesterday I got out the old reel-to-reel tape recorder. I was married in 1971. In 1973 I asked my grandmother Sanger (used to be Grandmother Heckman) to come over for dinner two different nights. One night she talked an hour about the origination of the Heckman Bindery. The next time she came over she talked about my father and grandfather-how they came to North Manchester. So it took me about 2 1/2 hours to get the reel-to-reel working yesterday. It was a rainy day so it didn't matter. I listened to that for 2 hours and it was really interesting. I appreciate the opportunity to do this. What I plan to do is to give you a little bit about the present but since you are a historical society I assume that you are more interested in the past. So I'd like to not dwell too much on the future and present, but I would like to run an 11 minute video which is a working plant tour for those of you who have not taken our plant tour. Our employment is now 400 people and in the summertime we employ an additional 75. Summer is a pretty busy time around the Heckman Bindery. I would like to distinguish between edition binding and library binding. A lot of people think we are book binders and we are. So is R. R. Donnelly. They are known as edition binders. They are very equipment and capital intensive and not very labor intensive whereas we are the opposite. We are not very capital or equipment intensive. We are mostly labor intensive. The library binding business is one at a time. The edition binding business is 50,000 of a title running through this machine and falling out complete on the other side. Every periodical that is bound must match identically the previous bound volume. The spine must be the same height, same lettering, same position of lettering, same color of bucram. In other words, we are binding to match and every single volume in the plant is one of a kind. You see stacks and stacks of books throughout the plant. Every single volume and every single stack is different size, shape and title. So that distinguishes us between library binding and edition binding. Our little niche in the world is to serve libraries. The reason that our binding is superior to an edition bound book is not because they have shoddy workmanship at R. R. Donnelly. The reason is that 10% of books that are manufactured actually end up in the library. They are usually passed around from individual to individual and they do not need to be bound that strong. That is our little niche in the world. It is serving libraries. It is a very demanding, complex business really. I have a lot of people to manage because it is so labor intensive. We are in the trucking business. We have to pick up and deliver all this material. We more closely resemble a commercial dry cleaner than we do a book binder, in the sense that we have to pick up the material no matter where it is in the U. S., bring it back to North Manchester, render the service, return it. A very, very small portion of our sales dollar is actually raw material. It is mostly labor. So we have pick-up, delivery service. We have a lot of people to manage, and I must say, I would not want to be located in any other place in the world than North Manchester, Indiana. We have such a strong work ethic, and we have such a good character of our people in this community. I grew up here and I'm glad I did. After I am through I will open up to questions. I will make a deal with you: I will talk as long as you want me to - as long as you feel free to walk out any old time. You won't hurt my feelings at all. I know you all have different interest levels and different pressures on your time. I brought some pictures from our archives. While I was digging through these pictures this morning I found a letter that my grandmother had written in 1957. This letter was written to a Mrs. Howe, who apparently had asked for some information as to how the bindery started. This is dated October 1, 1957. "You asked for some early history of Heckman Bindery. I will tell you as best I can remember. It was the Spring of 1931. The depression was on us. Paul (Steve's father) and a friend planned a trip to California with the intent of binding and repairing old books on the way to help pay their expenses. Local college and high school boys had been doing this sort of work in the area. Being depression time, librarians were glad to have this kind of repair work as they were short of funds. The trip to California had to be a little delayed. So the boys asked to work in our basement, which we let them do. "Their equipment consisted of a small library table, small hand press, scissors, table knife, needle and thread, and a shoemaker's awl. They would go to schools and libraries, pick up books and bring them to our basement for repair. This was done by tearing off the old book backs, punching holes with an awl through the back edge of each book, sewing with a needle and thread and putting the back on again. Not a very nice looking book when finished. "The boys would not be able to put in full time as they were also working at other jobs. Vernon and I (Steve's grandfather and step-grandmother, Mary) got interested in their work, tried our hand at it and tried to make improvements in methods. The boys finally gave up the California trip and the binding business. Book binding became a hobby with Vernon who was only working part time at Peabody Seating Co. This gave him the opportunity to get out and collect books from schools and libraries. "Paul did go to California for about six weeks. Letters came from Paul to carry on and he would be back in the spring to book bind again. He came back in March, 1932. Meanwhile, we had moved from the basement to the kitchen and the dining room. Vernon and Paul then remodeled the garage into a place more suitable. Paul took over the printing of book spines and traveling. This gave his dad more time for rebinding. "By this time we had a small printing press to take the place of hand printing titles with a pen onto the spines of books. We also obtained our first paper cutter which was used for trimming old edges from books. With more work and machinery to operate we hired our first help. Winnie Baker Landis took my place at bookkeeping. Charles Ruppel, Jr. was printer and on the trimmer. Fern Miller did the sewing and back making. Also Mrs. Heeter and Charles Bundy and Ralph Talmadge. "Now we were so crowded again that the sewers and bookkeeper were in our house working again. We worked this way during 1933 and 1934. In the fall of 1934 Paul took a notion to go to California again. He sold his share of the bindery to me for $76. Vernon had quit his job at Peabody's and was putting full time in traveling, collecting, and delivering books. Before spring 1935, Paul was ready to come back. I sold my share back to him. He took over the traveling and selling. In 1936 we were crowded again. The garage bindery was not large enough to handle the volume of work. In the fall of that year we built a small building in one corner of our garden. Now we thought the crowded conditions were over. We had some college students working part time and bought more machines. We were in need of an office girl so Mrs. Blanche Baker Wilcox came to our assistance during her vacation from teaching. Grace McNear was our next office girl. In the spring of 1938 it was necessary to do something again about crowded conditions. Work had grown so that part of it was back in our home again. The finished work was carried there for sorting, billing and shipping. The property north of our home was for sale. We were fortunate to get that. The little garden bindery was moved to the property and joined at the back of that house. It wasn't long until another addition was added. By 1940 we were crowded again. A two story cement block building was joined at the back-about 70 ft. X 35 ft.-plenty of room we thought. More machinery was added, power sewing machine, trimmer, backer, etc. This took up considerable space so more was built across the back yard of our home. This set-up was used until 1955 when the building for the present bindery was started. The new building was planned before Vernon's death on May 20, 1955 and work had started on it that day. I listened to the tape recorder and picked up a few more facts you might be interested in. Vernon's first big order was 300 books from Chili School, near Roann. The second big order was 900 books from Albion schools. The typical pickups were a dozen or 2 dozen books. The one that was really responsible for early success was when my dad got back from California, and somehow Dr. Huff at Ft. Wayne Public Library found out about Heckman Bindery and came over to look us over. Apparently he liked what he saw. He said, "There's no way you can do this work in this small space. If you'll go ahead and build your space, we will give you enough work you'll have no problem justifying that space." That's what led to the garden bindery-the little dwelling in the back yard. The first employees earned 50¢ a day. Emery Baker built the garden building-50¢ an hour in 1935. It cost $300 total, 24 ft. X 36 ft. In 1936, they bought the house and property next door for $1200. They moved the garden building over and attached it-then added a 70 ft. long building. Next they bought 3 acres next door. That was at the edge of town. It was a field. That's where the present bindery sits. Nineteen additions have been made to the present building, which now totals 100,000 square feet. On the rest of the tape my step-grandmother, Mary, talked about Vernon and Paul and herself. Vernon was the youngest of 13 children. He was born September, 1884, near Dayton, Ohio. His parents were Samuel and Anna Heckman. He married Izetta Eikenberry in 1906. They moved to North Manchester. Izetta's father moved his family to a farm near Sidney and Vernon and Izetta moved with them. Vernon didn't like farm work particularly but worked there awhile, then at Peabody's. He was with Peabody's for 25 years, off and on. He was in shipping and packing department-school seats. He and Izetta had one son, Paul, my father. Izetta died in 1920. My dad was nine years old. In 1925 Vernon married Mary Fulton. Vernon died in May of 1955. Mary married Perry Sanger in Sebring, Fla. He died in 1974 and she died in 1976. Paul was born June, 1911. He died in 1973 as a result of an automobile accident-that was my dad. He married Sarah Studebaker from Tipp City, Ohio. She's still living, in Sebring, and she oversees a motel our family owns down there. She lives there full-time. She was back last weekend for a family visit. She comes back about once a quarter. She was a Studebaker. They had two children, myself and 10 years later my sister Kay, who is a social worker in Indianapolis. She's never been married, loves her job in social work, working with blind people in Indianapolis. The home where the bindery began at 906 N. Sycamore is still here. It is pretty much as it was in those days. I did put aluminum siding on it and rent it out. Vernon actually moved that house from the Sidney farm to that location, after he built a basement. Vernon left for a year during the time he worked for Peabody's to work for Akron Rubber Company in Akron, Ohio. He ran out of work when the war ended. He came back to work at Peabody's. Paul went to Central High School, as did I and my sister Kay. We had nearly all the same teachers-Dad and I did-even my sister 10 years younger. Leigh Freed, Owen Moore, Warner Ogden, Louise Dingle, Bagwell. I had five or six teachers my dad had, and my sister three. Now they've torn the school down so I have nothing to remember. My dad was born in North Manchester. Some of his jobs during high school: he sold pop corn to Marshall Theater and Min Hite lived around the corner. She would pop the corn, he would sell it and she would walk him home at night so he didn't get in any trouble. She lost her son in an automobile accident and kind of took Paul under her wing. He worked behind the soda counter at Burdge's Drug Store. He went to Manchester College for one year, but I don't know what year that was. He sold shoes and clothing at Grisso's Clothing Store and then he sold menswear at Brady's Mens' Store. I think he sold All-State Insurance while doing the bindery thing. Then he sold that agency to Leslie Yoder for $500. Mary Sanger was the chief operator or manager of four different telephone companies. She started at Laketon where she grew up, then worked in Peru, Valparaiso, and finally North Manchester. My grandfather met her while she was working in Valparaiso. His first wife had died five years previously and someone arranged their meeting. Those are some facts that I thought might be of interest to you. The following section includes responses Steve gave to questions asked by the audience. Most of the work is library binding. We are a $10,000,000 company with 400 employees. We are very labor intensive. We have 90% devoted to library binding for colleges, universities and public schools. There are three other divisions which are smaller. 1. Conservation of rare and valuable books and documents. We are the largest in the country to my knowledge who are doing it commercially. There are some private institutions who are doing it too. We have a lot of capabilities. The only capability we don't have is gold hand tooling. A dream of mine for a long time has been to hire an artist, probably from Europe, to set up shop in that Heckman home and maybe move our entire conservation department over there. I would like to have that skill. It would be an interesting thing for people to see plus it would be a sales tool for us too. Other than that we have all kinds of capability. We are able to make different kinds of enclosures for books that are too brittle to actually sew. We can make a container for them that sits on a shelf like a book. If you have anything rare and valuable we're the place you should bring it. We have someone coming through our front door every 15 minutes with this old family Bible or pulpit Bible or whatever. The people back there are wonderful. They have had a lot of years of experience and they can make a shabby book look good again with the original cover. Sometimes they have to put some leather inserts in. 2. Super short run edition bind. That is, if a genealogy group, for instance, wants to put together a genealogy and they want only 100 or 500 copies, or even 25, we do this kind of book. A college professor writes a book, wants only 50 - 100 - 500 copies, we do that type of thing. We have these two special departments separate from each other and from our library division. These are growing all the time-a lot of interest in that. The big guys find it a real pain for them to deal with these small quantities. I'm talking about 10,000 as a small quantity. 3. Not Library Binding- Summer textbooks. In the summer we do 150,000-200,000 text book repairs. They come with "Tommy loves Suzy" all written on, all beat up, and we put them in a binding that is actually better than the original binding. It's a big economic savings for the institution that has them bound. If taxpayers really realized that, they would have everything rebound, I think. The publishers add a few words and call it a new edition and charge a whole bunch of money for a new book. How many math books need to be changed that often? This is basically a ten week season. We also have Follett Book Company in Chicago that does textbook rebinding with us all year long. These are the three little divisions. We used to serve everybody the same. We'd pick up one box of books from "Podunk High School" or a few books from some public library in the state of Ohio and would treat them just like our very large college and university accounts. About ten years ago we decided we seemed to be better at binding periodicals than anything else. Why not capitalize on what we do best. We started really specializing in colleges and universities and we are all over the United States. The Library of Congress is one you hear about the most because they have been our customer for so many years. Our largest state is Texas. We send a truck down to Dallas once a month; two weeks later we send one to Houston. It seems like a long way to travel but the volume of work is so great, the distribution costs are not that great. We have done the University of Virginia for as long as I can remember. We have a distribution center in Front Royal, Virginia. We've had it for 45 years probably. That has something to do with the Library of Congress because they are only 60 miles down the road from the Library of Congress. Our 45 foot trailer runs out there every weekend to drop off a trailer full of newly bound books and picks up a trailer just like it full of books to be bound. We have a guaranteed schedule we have to meet. It's another one of the difficult things. It doesn't matter whether it's a "zillion" books which come in or just a few. We have to get those books back to that library on the exact date we promise. We work a lot of time during the summer because people send their periodicals after the July date and send them after the January date. We absolutely starve to death in the fourth quarter. October, November and December are pathetic. Everybody is upset-every year. We try to tell them when we bring new employees in that this is a fact of life at Heckman Bindery. We work 4 days, sometimes even 3 days a week during the fourth quarter. The work just is not there. We've tried everything but libraries are going to send the work when they want to send it. If you work at Heckman Bindery you are going to get some slow time-some time off during the fourth quarter of the year. Following are responses from Steve Heckman to questions and comments. We are $10,000,000 in sales. We have a competitor now who's been going out and buying binderies up in various locations. He has five plants now and he is about the same size we are-by putting all those plants together. We are not totally the big guy now-one competitor. Then it drops down to about half dozen in the United States of $2,500,000. There are about 100 binderies in the U.S. Most of them are very small. All of them are family owned in the U.S. Our trade association has about 40 members. They control about 80%-closer to 90% of the total sales in the U.S.
We bind anything that has pages. We bind newspapers, hymnals, theses. A big product in recent years- 30 years- is paper backs. Obviously paper backs don't last long in libraries, so we have two different methods. 1. Heckman paper back binding we've had for many years. We bind it, then mount the paper covers on the outside. 2. Milar binding- we actually bind the covers so you can see through it. The good thing about those are they are very attractive and they catch the eyes of the children and others. The bad thing is they are very slippery. We do anything where you need pages put together. Out of Front Royal, Virginia, we have a half dozen. Out of North Manchester we have about eight. As I said earlier, we used to treat everybody the same. We used to have a lot of trucks and a lot of branch offices. We realized we could not handle those distribution costs any more. They were eating us alive. At one time we had: a distribution office in Sterling, Illinois; Huntsville, Alabama; one man office in Tyler, Texas; one man office in Ocala, Florida; the main office we've always had in Front Royal, Virginia. We had to say, "Look, we like to think we're on base. Give us a little more protection but we just can't afford to pick up all that material every week. We went for bigger customers and now we have a little "sweat-out" like today we all sat around a table. The Library of Congress is up again. A couple weeks ago we all sat around the table- Texas was up again. This is all contract work. There's some loyalty, but mostly you have to have the low price. That means you have to be very, very efficient. We have two methods: aqueous and non-aqueous. It all depends on whether the inks may or may not run. We have to establish that at the very beginning. Aqueous process- we actually dip the separate pages in water. We wash the pages in water, separate the pages, then dry them, dip them in solution. Non-aqueous- brush on chemical, or can also dip that in the chemical solution. The Library of Congress has helped us a lot in the restoration department. Fifteen years ago they decided they would also (we do all their library binding) give us a shot at doing some of their rare books. We've worked on their rare art book collection for about 15 years-50 volumes every week-sometimes 25. That's where we learned our skills. We have always done family Bibles. We got into the rare book thing in a big way. We sent people out to the Library of Congress to train; they'd send people to our place to help us, so they basically trained us. The customer's always right. We replace books if the customer says we lost them. Even if we don't think we did. I'll tell you what is happening. Our industry has not necessarily been declining, but just stable for 15 or 20 years. We feel the money is better spent trying to acquire some of our competitors than trying to come out with the lowest prices. We bought a company in Cincinnati, Ohio, about a year and a half ago. Very nice acquisition. We have it almost paid off now. We've increased our sales as a result. We are now looking at about a half dozen different binderies to acquire. Our preference of course is to bring them back to North Manchester. That is probably how we'll grow in the future-through acquisition. He was a pretty innovative guy. He also had a hobby of fixing music boxes. Before we actually needed the space, he had the whole upstairs of the old part of the bindery which is still in existence. It is across the street from our present bindery. It was filled with music boxes, organs, player pianos-anything he could get his hands on. He was good at that. He was a craftsman, loved the idea of improving the craft. My dad's strengths were in sales and he also loved the material handling part. If you have been through our plant, you've noticed we don't have any tables whatsoever. We have roller conveyors, some of them are on air cylinders-go up and down. I'd hate to be buying that right now at today's cost. That was one of his contributions. Another of his contributions was the machine shop. We've made at least half of the equipment in our plant. We are a small industry so the major machine makers are not going to knock themselves out to sell just a few machines. We have come up with our own ideas, create our own. We have a wonderful machine shop. Every time we have a problem, they create some kind of a device to fix it. 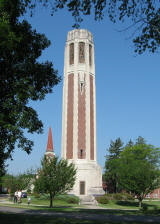 I went to Indiana University after I graduated from Central High School. After four years I went to service for two years. I took my last 30 day leave to come back to get started in the bindery. I love the work. It gets frustrating sometimes. My weekends are fun but I'd just as soon go to work on Monday morning. I love the people I work with. It is a good feeling we are doing something noble, helping educate our future generations. Conservation of the written word. Well, I get run over. I have a problem because I'm not very temperate. I like to eat too much, so I do it for exercise. I've been doing it since 1968-that four miles. Only problem is my joints are giving out. I guess I'll have to try something else. Discussion of owning property at Winona Lake. Grandparents and father Paul both owned cottages at Winona. Lived here in winter and at lake in summer. Steve chose to live at Winona Lake and commute. Discussion of father's interest in horses. He owned 150 acre farm. At the time of Paul's death he owned 60 horses (registered quarter) and 150 black angus cattle. Paul was the only one in the family who liked the farm. Sally Allen shared a story of a horse Paul kept on the property next to them. He kept a Tennessee Walking horse on the lot behind the bindery. Discussion closed with reference to students who work at the bindery and also of those who have in the past. Steve invited Historical Society members to visit the bindery-we would be welcomed to plan such a visit, as they enjoy showing people through their business.